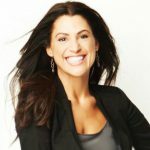 Mandy Antoniacci’s insatiable quest for transforming the way people see the world has made her a sought-after voice of social change for this generation. 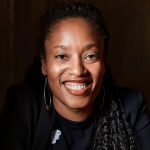 Her body of work — exploring the power in seeing the unseen — has earned her global attention and exclusive discussions with elite social leaders and sports figures around the world. Andrea Barrica is CEO and Co-founder of O.school, a judgment-free multimedia platform to learn about sexuality and pleasure. 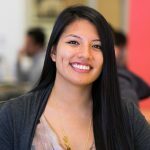 Previously, Andrea co-founded accounting and tax platform, inDinero.com, where she led sales and operations. 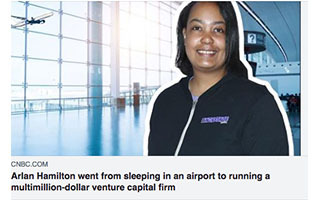 She also served as a venture partner and entrepreneur-in-residence at 500 Startups. Arlan Hamilton is a remarkable entrepreneur who built a venture capital fund from the ground up, while homeless. 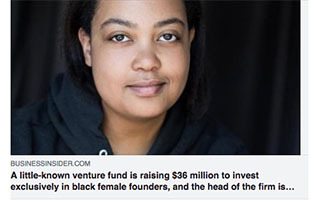 She is the Founder and Managing Partner of Backstage Capital, a venture capital firm dedicated to minimizing funding disparities in tech by investing in high-potential founders who are people of color, women, and/or LGBT. 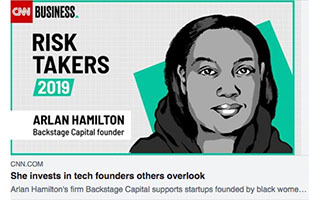 Started in 2015, Backstage has now invested nearly $5M into 100 startups led by underestimated founders and has been featured in Forbes, Fortune, Wall Street Journal, CNN Money, Inc., Entrepreneur, and Quartz. 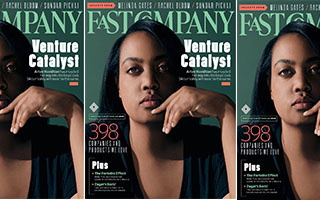 Arlan made history by making the cover of Fast Company as the first Black woman who is not an entertainer or athlete to do so. 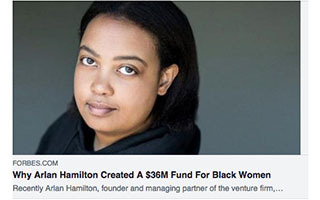 She and Backstage Studio were also the subjects of Season 7 of the popular Gimlet Media podcast, StartUp. 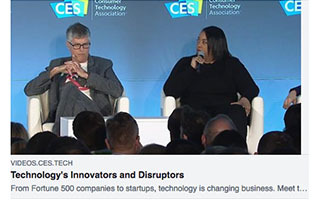 Arlan entered the venture investing world from an unconventional path. 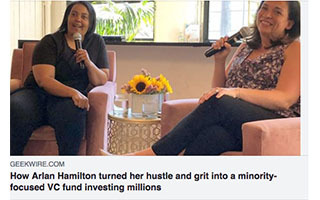 Before launching Backstage Capital, she authored the groundbreaking blog “Your Daily Lesbian Moment”, which she grew to a monthly readership of 50,000 fans worldwide. She has written for AOL, SuicideGirls, and Curve Magazine, and founded and published the internationally distributed indie magazine Interlude. 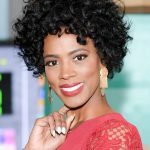 Arlan was also a live music production professional, having served as a tour coordinator to numerous international artists including Toni Braxton and Jason Derulo. 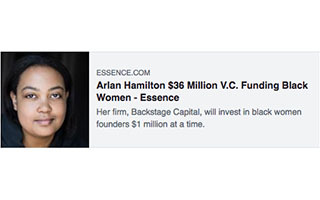 In 2018, Arlan co-founded, along with Investment Partner Christie Pitts, Backstage Studio, a new venture studio designed to build products, services, and initiatives that serve the mission of eliminating underrepresentation in tech by empowering founders and their teams to succeed. 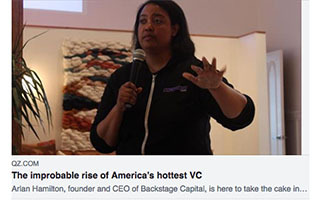 Also in 2018, Backstage announced the launch of Backstage Accelerator, a 3-month program designed to give founders the support they need to reach their next critical milestone. 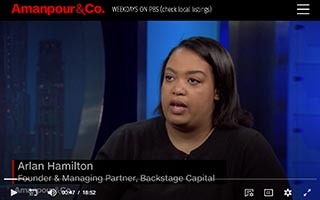 Backstage is a fully-remote team that has quickly scaled to 20 employees working together with an ever-expanding roster of world-class mentors and partners. 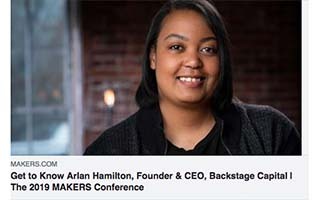 Arlan Hamilton is available for booking directly through Gravity Speakers and is currently represented by CAA. Can we stop saying “blacks” now? Please and thank you. What’s the name of our new band, @KatColeATL and @NathalieMolina? - igniting innovation through collaboration. Yay!! :) We chew these people up and spit back out, and then make fun of them for not being able to handle it well. I’m so grateful that Britney still exists and made it so far, and had the self-possession (self-possessiveness?) to get herself help again. You go girl!